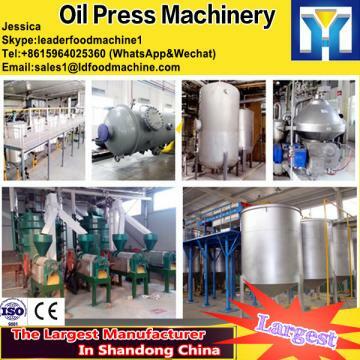 If you interesting in 2015 new desigh coconut oil machine/copra oil machine ,kindly ask me, Shandong industrial microwave oven can give technical support and service. a. LD-130 coconut oil machine is a popular type of oil press machine, mainly composed of feeder, gearbox, pressing chamber and oil receiver. b. Our coconut oil machine can be used in peanut ,soybean, sunflower, vegetable seeds, coconut, olive ,etc and all kinds of plants for edible oil. The oil press can both hot pressing and cold pressing. c. LD-130 coconut oil machine is characteristics with fine figure, compact structure, easy installment, high autoimmunization, high output rate, clear oil and pure flavor and so on. a. LD-130 coconut oil machine is made of high quality steel, wear-resistant and easy to clean. a. Wide application: LD-130 coconut oil machine can press various oil seeds, such as cottonseed, rapeseed, sesame, sunflower seed, soybean, peanut kernel, olive, avocado, etc. c. LitLDe land occupancy: only 10-20 square metre for LD-130 coconut oil machine is enough. If you have more questions of this coconut oil machine,please contact Jessica!